A Pine Sisken perches on a bare branch in Logan County. Photo courtesy W.Va. Dept. of Commerce. 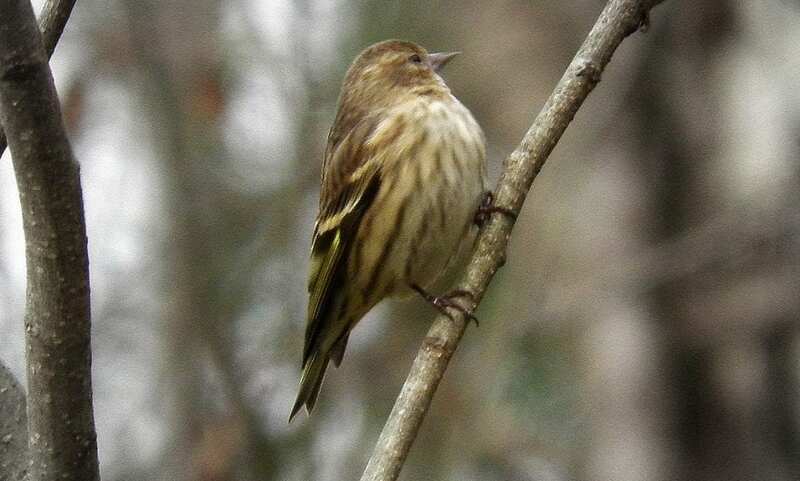 Chief Logan State Park is introducing a free bird-watching program on weekends in February, March, and April to welcome novice and ardent bird watchers to the mountainous valley of the Guyandotte River. Saturday events at Chief Logan start at the lodge at 8 a.m. on Feb. 16, March 2, 16, and 30, and April 6 and 20. Sunday events start at the museum at 8 a.m. on Feb. 17, March 3, 17, and 31, and April 7 and 21. Participants also will be welcomed with hot coffee or tea and receive instructions on to how to use binoculars and field guides. Cole will have binoculars to loan during the bird walk. “The type of habitat you are birding in will determine what species of bird you’re going to see,” Cole said. Chief Logan Lodge is located 1 mile off US 119 at Exit 30.5. Participants can take advantage of an express breakfast at a minimal charge. Arrangements for overnight stays at Chief Logan Lodge can be made at www.wvstateparks.com. Overnight room reservations include an express breakfast. Chief Logan Museum is located six miles off the U.S. 119 expressway’s Old Logan Road exit, near Logan, West Virginia. The museum houses the park offices and gift shop. To contact Cole, call 304-792-7229 or send an email to Lauren.E.Cole@wv.gov.